Welcome to my Quilty Corner. 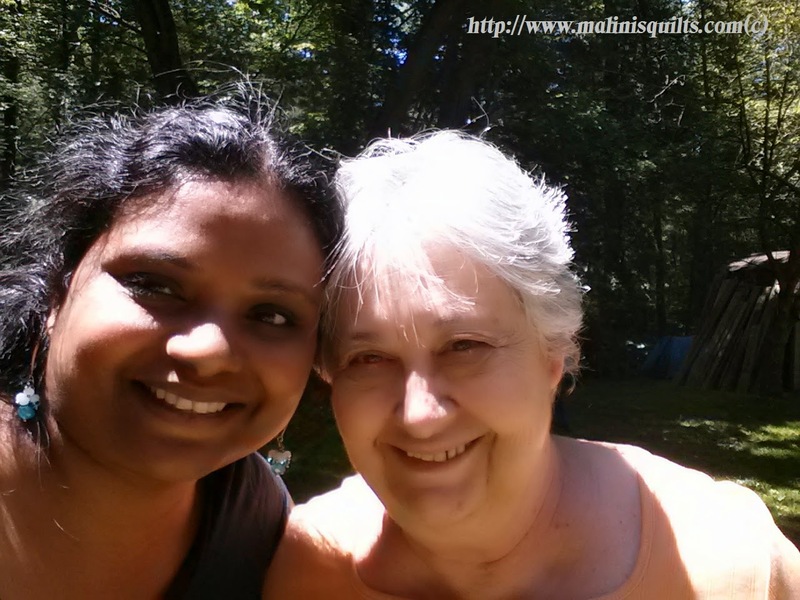 This is where I share everything about my Quilting/Sewing passion. First I want to thank the wonderful Brittany of Pickles Quilting for tagging me along on this wonderful blog hop. 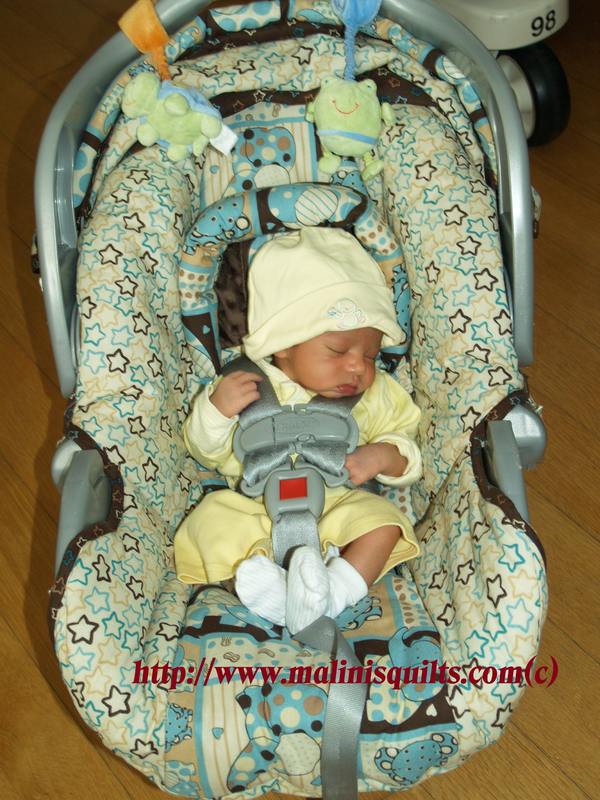 I started quilting when I was pregnant with my son and the very first quilty thing I made was a quilter baby car seat cover and a matching stroller cover too :). I have been hooked ever since. So, its been 3 years enjoying this wonderful craft. 1. What I am working on? Okay right now I have 2 designs in progress. One is making Princess Elsa dress for my daughter who is 7 years old. 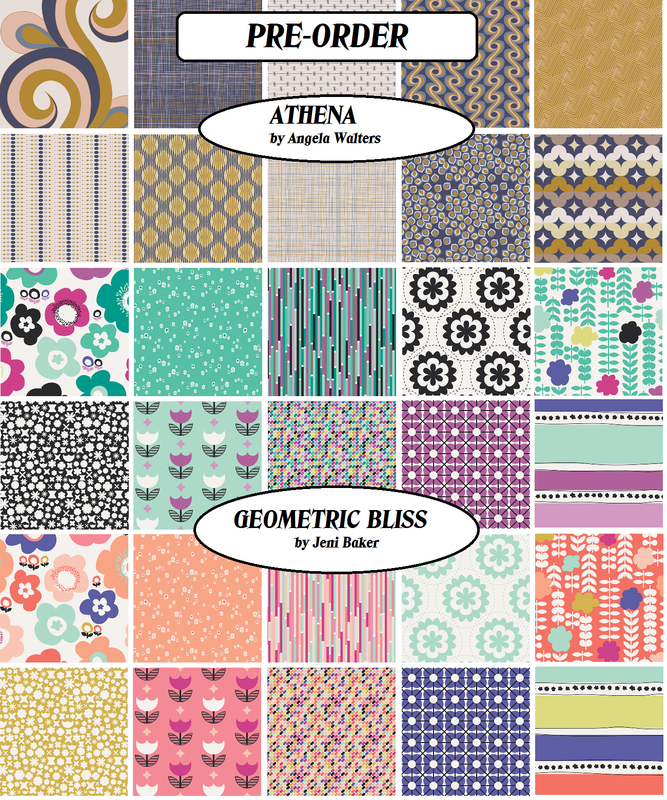 And the other is the Quilt Pattern which is part of MQG Monthly patterns. My month is December, so stay tuned of that. Welcome to Day 9 of See you In September blog hop. First I wanted to thank the master mind behind these wonderful blog hops, Madm Samm and our amazing cheerleader Shari for all the encouragement throughout the Summer :). Boy! The Summer just flew away. I had only done one major quilt in the summer but managed to cook up 3 projects to show you today. 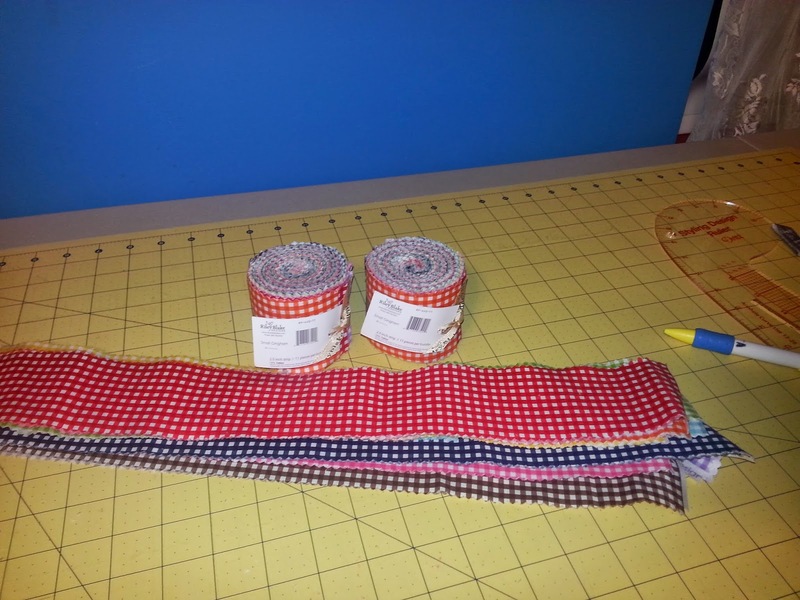 First up is "Rainbow Skirt" using RBD small gingham. My daughter loves rainbow and she choose these color order. I used 2.5" strips to make this skirt and all together 3 Jelly Rolls. I have been wanting to sew with knit fabrics for quite some time. I wouldn't say I have mastered it yet. But its at a good point. You can really see the details but I added 2 front pockets and one back pockets too. This is a first for me. Never sewn a pant before. I am planning to sew a pant with cotton fabric soon. I think I got the hang of it ;). I hope its true. I am back to sewing after a very long time. This summer has been really busy with kids and my little shop :). Even though I didn't get to sew much, cutting fabrics for the shop was fun. Is it too early for Christmas, I just couldn't resist this adorable fabric collection by Riley Blake Designs. And here is a link to my tutorial to make a cute Evergree Quilted Pillow Sham with Ruffles :). 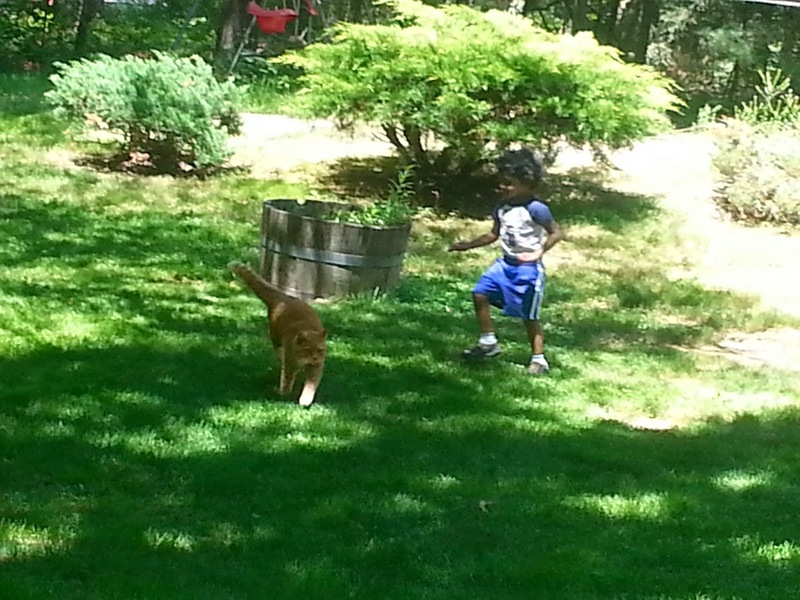 Yes, I used my Ruffler foot for the first time and it was lot of fun. More ruffles in the future ;). As you might have guessed this has been claimed by my daughter and she wants me to make one more. I got to quilt on my home machine after a very long time. I broke 2 needles in 1 hour :(. But the quilting itself was lot of fun. This is a tad bigger for my pillow form. I hope this was a good eye candy. Last day for FREE SHIPPING on all BUNDLES. Click on the "Shop" tab for my Etsy shop or follow my shop on Instagram: Malini's Quilt Co. IG. Sorry to just keep posting shop updates. I promised I will get more sewing/quilting done in the next coming week and share the progress with you. I have also ordered some Voile and Knits(from a different collection). I am excited and hopeful that I will get back my sewing/quilting mojo. Its become like the GYM thing, that I am not able to get any sewing done these days :). I am off for the summer, hopefully I can squeeze sewing/quilting back into my schedule. Last night when we came back from Canobie Lake Park this beautiful stack of fabrics were waiting for me in the door steps. 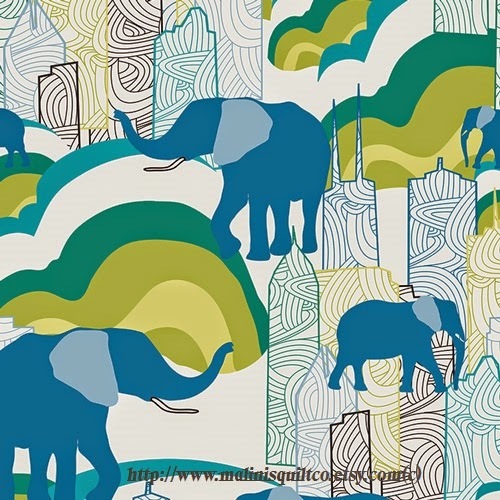 I absolutely love these fabrics and the colors ways. 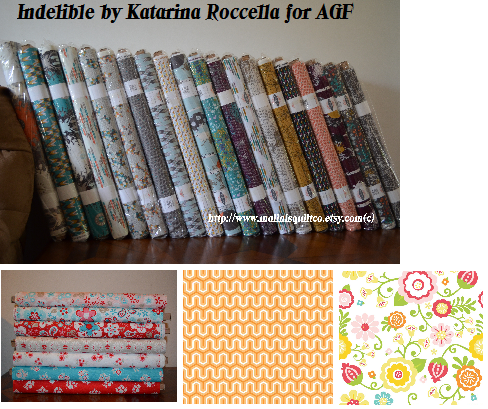 Ordered all 20 prints from the Indelible fabric line by Katarina Roccella for Art Gallery fabrics. 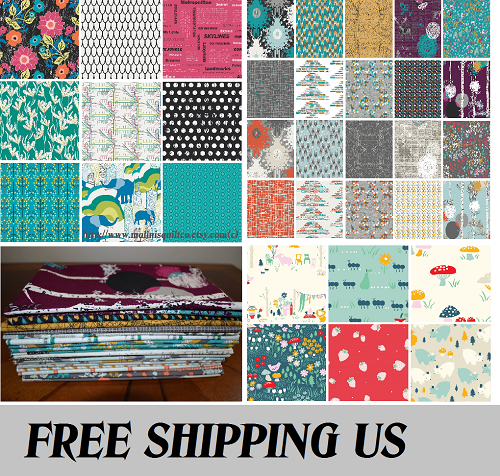 One week only, free shipping on Complete F8 and FQ bundle of Indelible fabrics. Click on Shop tab to buy from my Etsy shop. $5 off for international shipping. 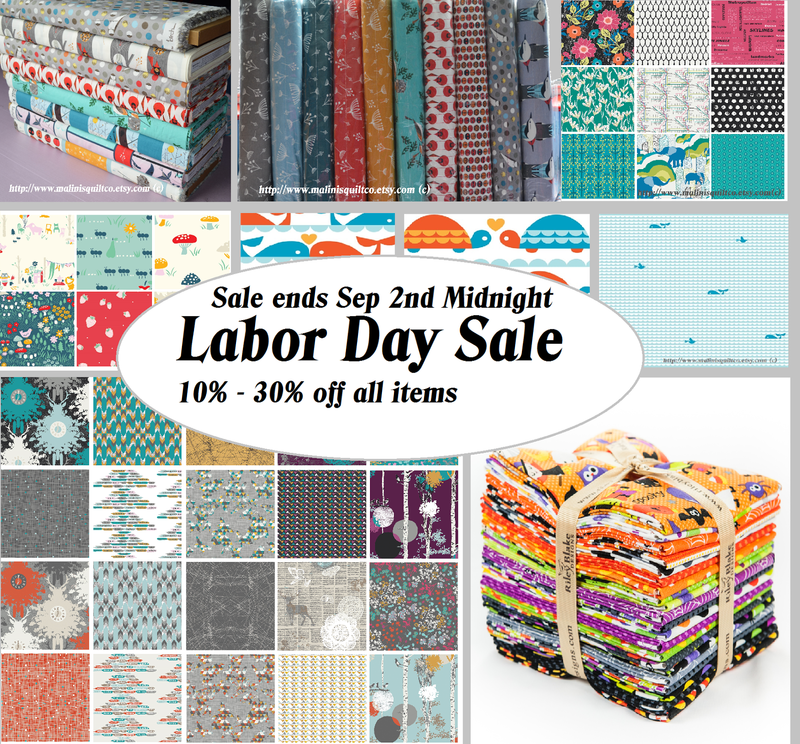 The free shipping offer ends July 1st at midnight!